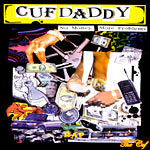 Dope album by the CUF. Some of the fore-fathers of independent hip hop. Check this out for some classic material. All songs produced by N8 the GR8 except track 15 produced by Garcia. Track 9 features Tenashus and Track 10 features Big Bron One.